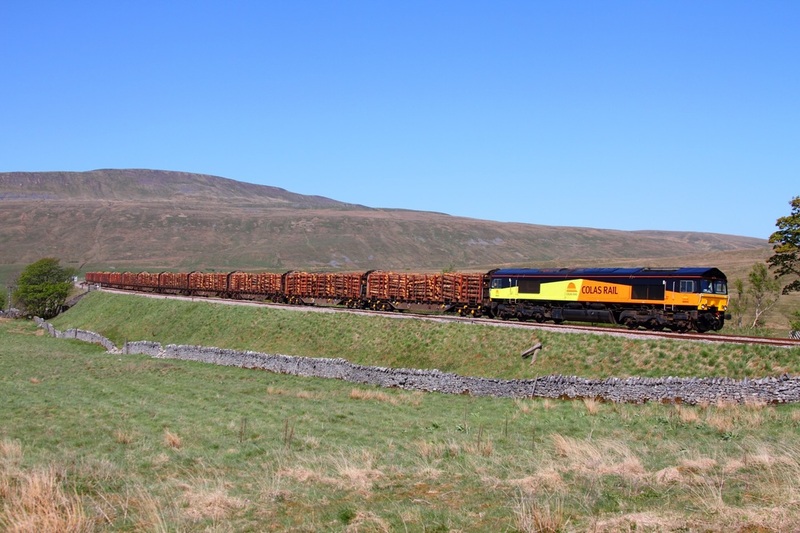 Colas 66845 glides through Ribblehead leading the 6Z37 Ribblehead to Chirk loaded logs on the 2nd March 2011. 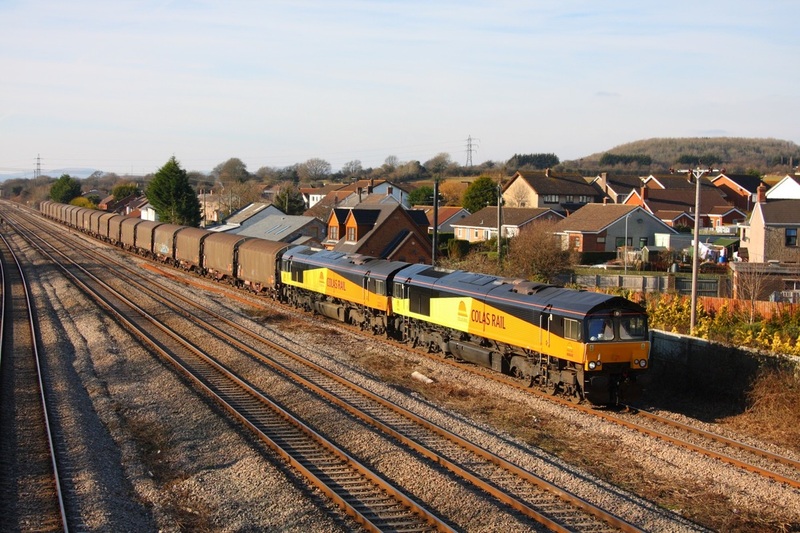 Colas Rail liveried 66845 leads 66844 on the 6O55 Llanwern to Dollands Moor at Undy on the 30th January 2011. 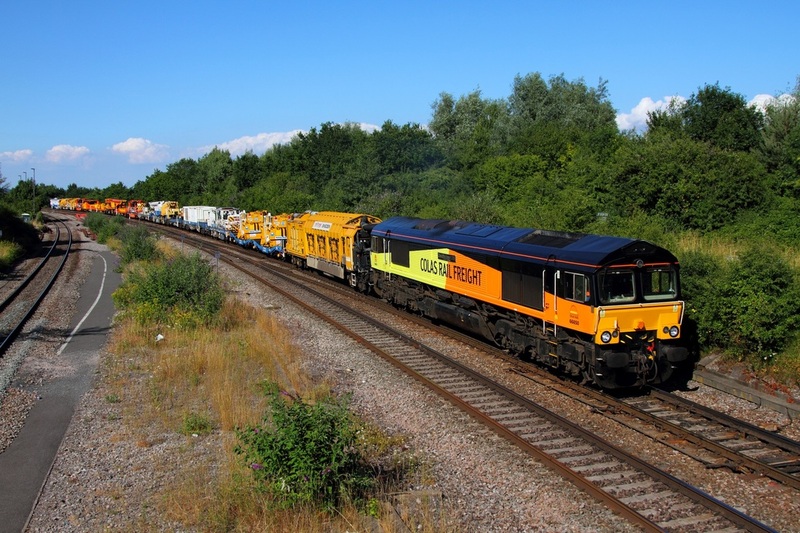 The train would be routed via Gloucester and the Golden Valley due to engineering works. 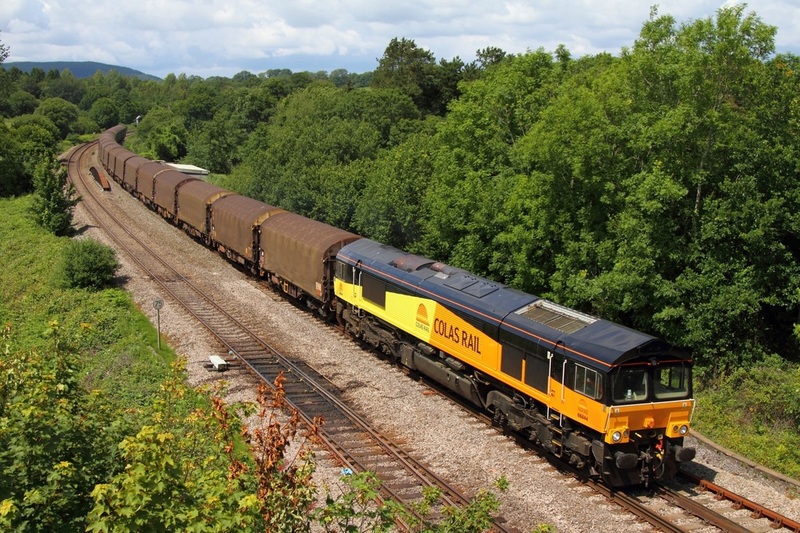 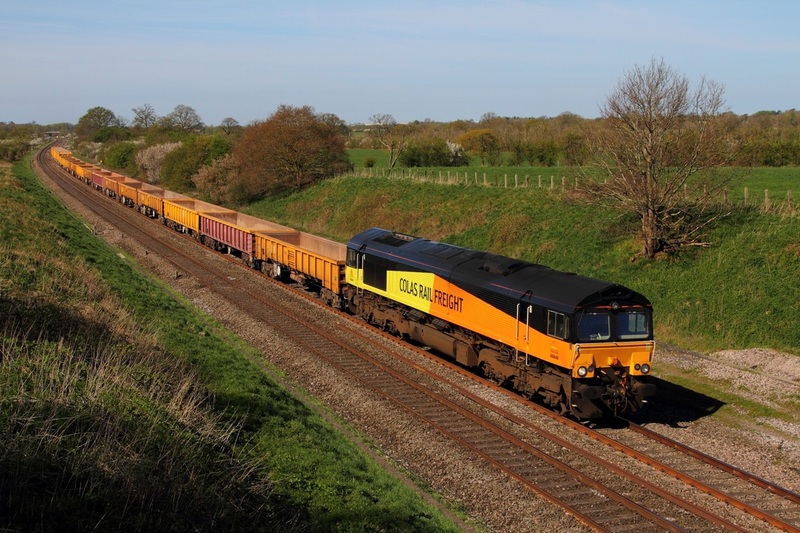 Colas Rail liveried 66844 powering the 6O78 Margam to Dollands Moor at Miskin on the 29th June 2011. 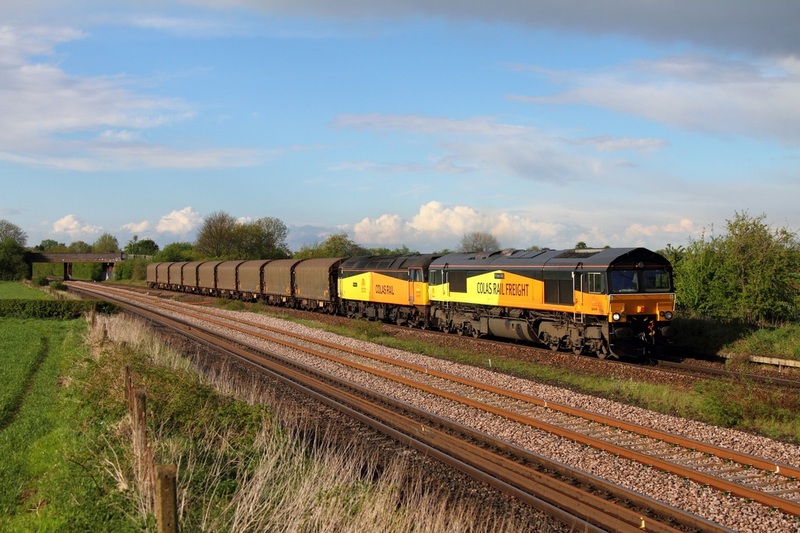 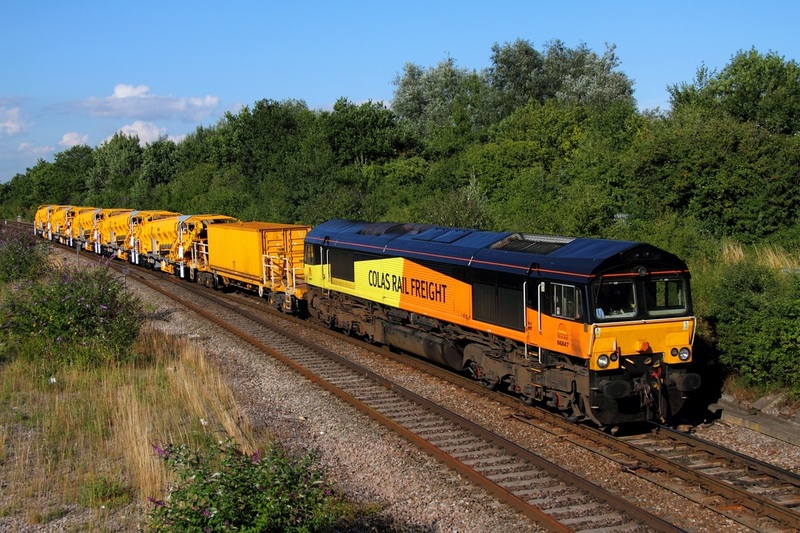 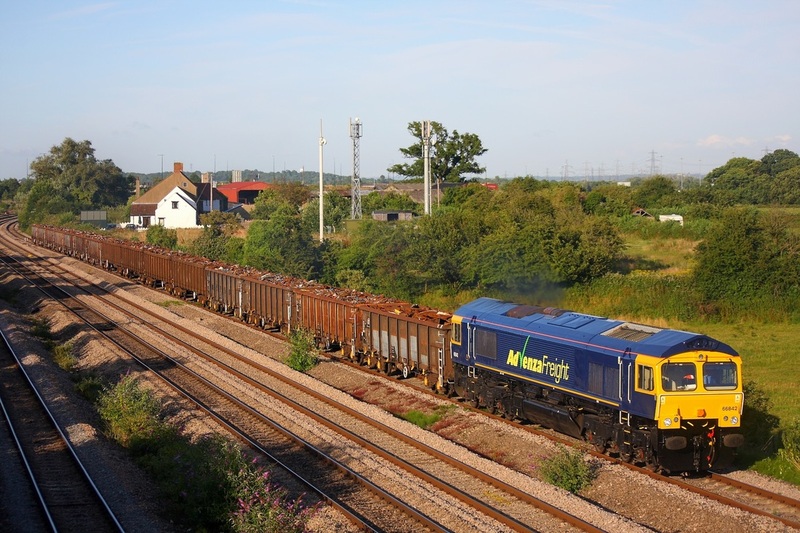 On the 15th July 2009, Advenza freight's 66842 hauls the 6V95 Stockton to Cardiff Tidal loaded scrap at Undy.